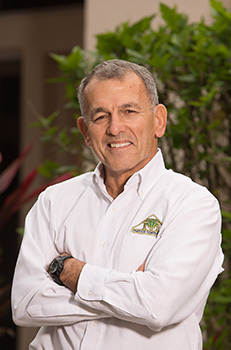 John Marzulli, Owner & President of Emerald Contractors Inc. since the company’s incorporation in 1985, has earned a respected reputation in his more than forty five years as a general contractor, custom home builder and remodeler. A resident of Pinellas County since 1953, John has left his mark of excellence on countless homes and buildings throughout the Tampa Bay area. Highly dedicated to the building and restoration industries, John is one of only a handful of professionals in the United States who hold the multiple designations of Certified Class A General Contractor, Certified Remodeler (CR), Certified Kitchen & Bath Remodeler (CKBR), Certified Graduate Remodeler (CGR), Certified Aging in Place Specialist (CAPS) and Certified Green Professional (CGP) awarded by NARI and NAHB, Certified Water Restoration Technician with the IICRC and Florida Certified Mold Remediator (MRSR). These designations and John’s presence in the remodeling and restoration field have led to articles in various publications including Lowes for Pros, Tampa Bay Magazine and Professional Remodeler Magazine. In addition to the many accreditations, awards and honors, which you will find on the About Us tab/Company Profile on this website, John has many philanthropic interests. He is a founding member of Six Degrees Less than of Tampa Bay which has contributed both time and proceeds to The Gulf Coast Chapter of the Paralyzed Veterans of America. However, John is more than awards and accreditations. He is the proud father of two great and successful daughters, 2 great sons-in-law and 6 beautiful and talented grandchildren. His other interests include martial arts in which he holds black belts in two disciplines, open water swimming in which he has participated in many multiple mile open water swims, yoga in which he is a certified Kundalini Yoga teacher with KRI institute and an all-around fitness enthusiast. John’s multiple accreditations along with discipline, dedication, unwavering attention to detail, quality and a keen sense of vision on a job have made him the respected builder that he is today. The numerous satisfied clients and repeat clients that he has worked with in the past four and a half decades continue to motivate John to achieve greater excellence. Danielle Sirico is the office manager for Emerald Contractors, Inc. With an extensive background in construction office management, Danielle has been working in the construction industry since 2005 and she has been with Emerald Contractors since October of 2015. Danielle is particularly accustomed to fast paced offices where handling multiple jobs simultaneously is expected. She has excellent interpersonal skills, a strong computer aptitude as well as a firm grasp of technology. Danielle is very passionate about her work and has become a very strong asset to our team at Emerald Contractors. When Danielle is not working, she’s spending time with her family. She has 2 children, a son and a daughter, and her biggest passion of all is being their mother. Danielle and her family relocated to Florida from New York in July 2015 and they are now enjoying the warmer weather. Danielle enjoys the outdoors, living a healthy lifestyle and making memories with her family. Diane joined our team in July 2017, replacing Theresa Weber. Diane brings a little over 38 years of accounting and managerial experience. She is a New Jersey native, who relocated to Florida in 1984. She is the mother of three beautiful girls, and has five grandsons and one granddaughter. Diane is currently pursuing her CPA and is a welcome new addition to the Emerald family. We could not do anything without our trade sub-contractors and suppliers. These are the back bone of our company. Over the last 30 years we have been able to vet out only the most qualified and professional tradesmen and suppliers to work with us. They hold the values of ethics, quality, timeliness and professionalism high on their list. Each one is a consummate professional and runs his/her business in a highly professional manner. Many of them have been with us since our inception. Most have been with us for over 10 years. We are blessed to have them on our team.